ABOUT - Luis A. Cenedese, M.D., F.A.C.S. 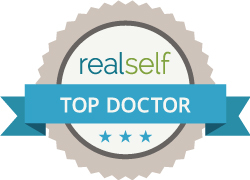 Dr. Luis Cenedese is a gifted plastic surgeon practicing in Manhattan, New York. He provides his clients with a wide variety of cosmetic procedures ranging from BOTOX® and fillers, lip augmentation and chemical peels to surgeries to improve the appearance of body parts including the rhinoplasty, eyelid, face and neck lifts, breast augmentation, liposuction, and body contouring. 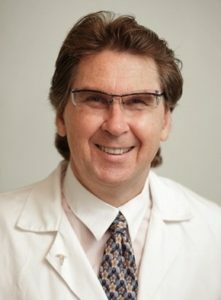 Upon completion of his undergraduate degree at Columbia University’s Columbia College in three years, Dr. Cenedese was awarded a full scholarship and admission to the M.D. Ph.D. program at SUNY Downstate Medical Center. It was there that his interest in plastic surgery began. As a student rotating in the Kings County Hospital Plastic Surgery Service his exposure to major maxillofacial trauma, caring for burn victims at the Burn Center and reconstruction of congenital defects in children inspired him to compete for a position in the field of Plastic Surgery. He was elected for internship and residency at the Beth Israel Medical Center in New York, where he specialized in plastic surgery, both reconstructive and cosmetic. Then he was chosen to complete his Plastic Surgical training at the Mt. Sinai Hospital in New York, where he also served as Chief Resident in Plastic Surgery. Dr. Cenedese completed a post-graduate fellowship at the Thomas Jefferson University in Philadelphia prior to starting his private practice in Manhattan. Dr. Cenedese’s personality and demeanor make him easy to talk to. He exhibits great pride in his work as well as deep empathy for his patients. His constant refining of technique, search for new approaches and learning for the benefit of his patients have developed a loyal following. To schedule a consultation, call (212)371-0468.